BMW is reinventing its design philosophy and shifting upmarket with new, distinctly flavoured luxury models. Richard Bremner investigates Bayerische Motoren Werke. The spelling out of the BMW name in full, and the use of a black and silver roundel (rather than the famous blue and white propeller logo), are among the more subtle indicators of a significant change of direction for the Munich-based manufacturer. A new design language is emerging for both the interiors and exteriors of its cars. The brand is going to stretch itself further upmarket. And it’s presenting itself in new ways. 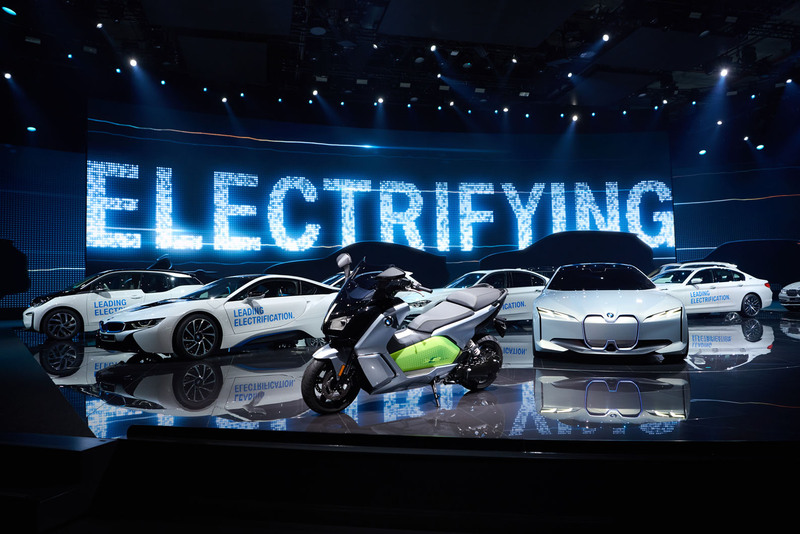 That’s for the mainstream BMWs, for the electrified i-brand cars and for the newly designated luxury models, whose print, TV and online presentation will be accompanied by that BMW name in full, and the black and silver badge. 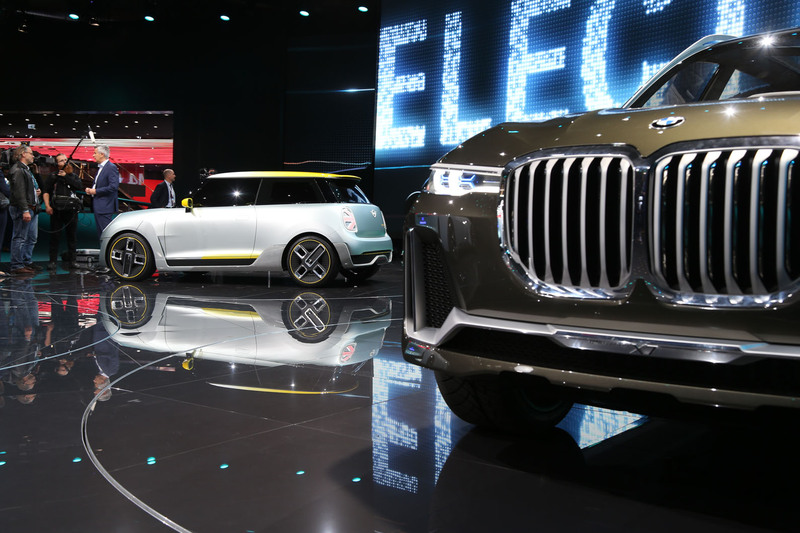 At the recent Frankfurt motor show, where this new signage could be seen above a display of special 7 Series saloons (one yacht-inspired exploratory version of which has wooden floor mats...), BMW also rolled out its handsome 8 Series concept, the rather less elegant X7 show car and an electric i Vision Dynamics saloon with a twin kidney grille of rather startling proportions. Indeed, the grilles of all three concepts vary substantially in shape, texture, proportion and form, and are all further clues to BMW’s change of tack. 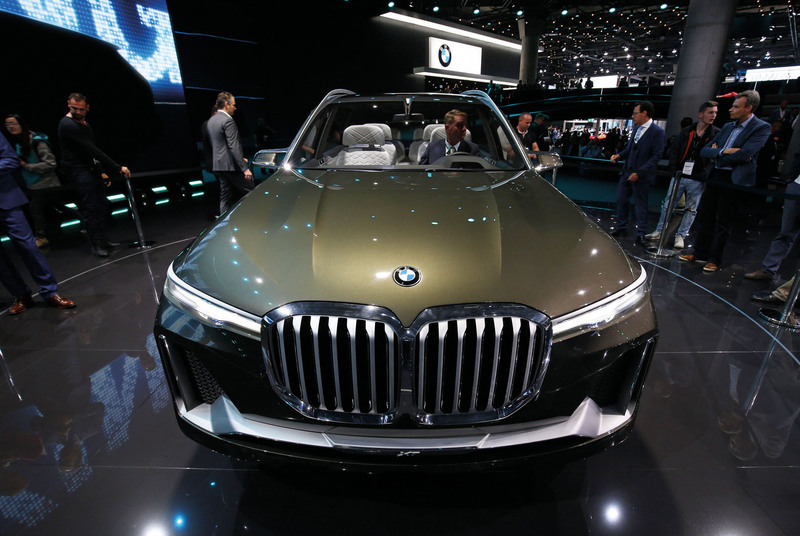 Which is a lot more substantial even than the reshaping and recolouring of BMW’s most famous visual signatures, as the company’s product management and design chiefs explain. 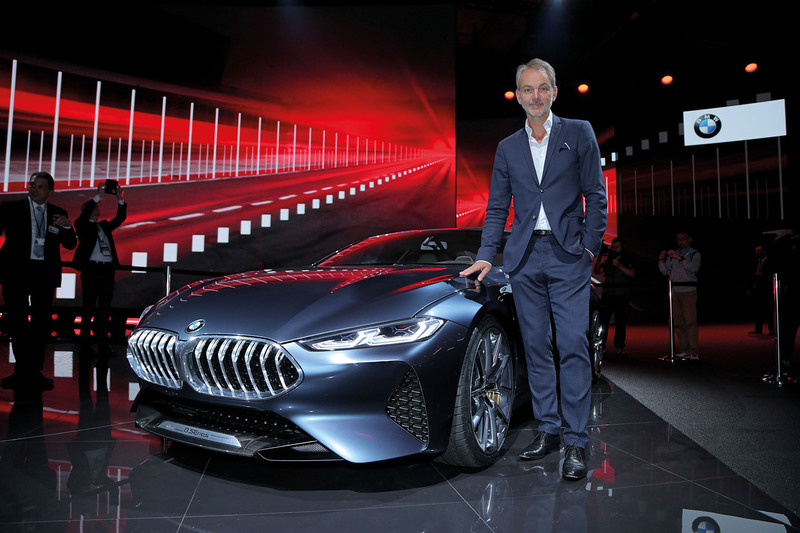 “There are a couple of things that happened in parallel in the BMW Group,” says BMW Group design boss Adrian van Hooydonk, who explains the genesis of this shift. “First, expanding at the top end of our range is something that we’ve been wanting to do for a while. We believe that there’s room to do so – actually our customers are asking for more products at the top end – and almost at the same time as we were plotting new cars like the 8 Series and the X7, we realised that when we came to 2018, we would hit a wave of new products, including the Z4 and a couple of other cars. 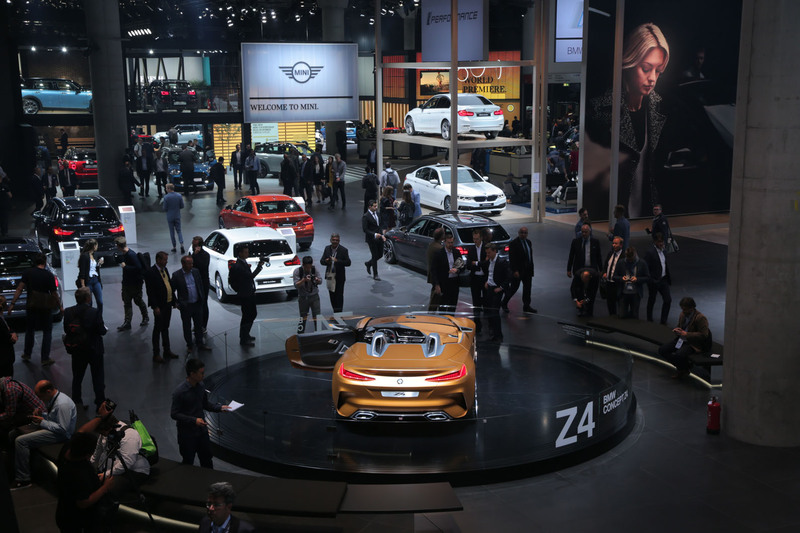 Not allowing BMW to become a sitting duck is also a motivation for BMW’s product management and brand chief Hildegard Wortmann. “I think it’s important when you have such a strong brand that you keep it fresh all the time, that you keep it original, that you keep it on the edge,” she says. 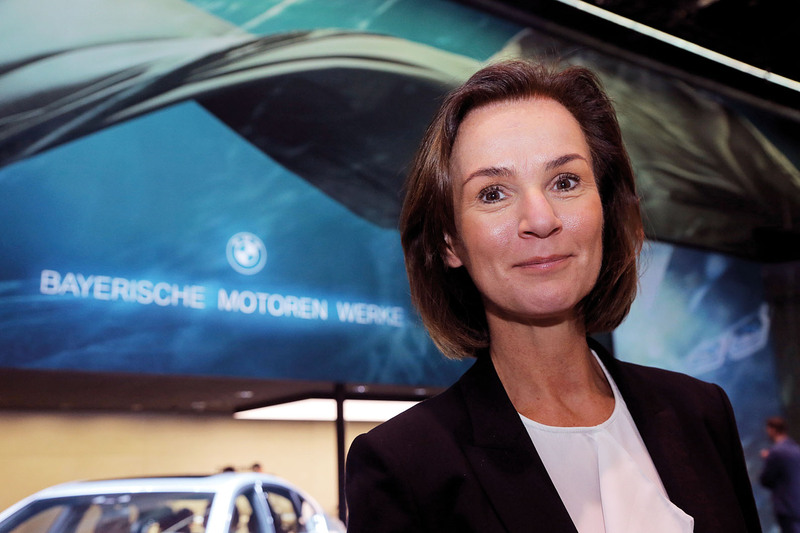 To that end, Wortmann, a brand expert with experience at both Unilever and Calvin Klein before she joined BMW in 1998, has overseen a three-pronged reorientation of the way BMW presents itself to the world. And with her contribution to the product development process, she has been involved with the substance of the new cars too. Those three prongs are the mainstream BMWs, the i-brand cars and the newly designated luxury Bayerische Motoren Werke models. With the i models, she adds, “you’ll see a much fresher approach with more digital, more multimedia and more emotion. It’s a strong statement of attitude.” BMW’s luxury models – the existing 7 Series, and the forthcoming X7 and 8 Series Coupé – will be represented using a strategy borrowed from the fashion world, “by going back to our roots and using the full name, like Alexander McQueen”, says Wortmann. The McQueen fashion house and others spell the brand’s name out for its high-end lines, and use initials for the more affordable products. The visual character of the cars themselves will change too, says van Hooydonk, for “this new chapter in our form language. Pretty quickly, we came to the conclusion that it should be something that is cleaner, where we are trying to achieve a lot with fewer elements, and fewer lines. The new design language isn’t only about simplifying and refining shapes. BMW is keen to develop more individual identities within its range, as those striking new grilles indicate. “In the next vehicle generation, we want to separate each and every model. They have very different types of competitors that could be from totally different brands. The industry has changed in that sense,” says van Hooydonk. As might be expected, the design team has adopted a new interior approach too, “for the same reasons – there too we could clean up”, says van Hooydonk. “Cars will become more intelligent and that’s beginning to happen now. It means you have to tell the car less what it needs to do and what you want from it. So you will need fewer buttons. In 2018, then, we can expect this visual revolution to take off with some force. As Wortmann and van Hooydonk explain, these changes have been fired by both design and marketing. “If it pulls the brand a little bit further upmarket, that’s good,” reckons van Hooydonk. Given the scope of this shift for BMW, the results could generate usefully more than that too. I applaud the idea that BMW are going back upmarket - those of us old enough to remember BMW in the 60's and 70's will know they were once a major player in the luxury market but like Mercedes and so many others, they started to chase volume and fleet sales, IMHO to the detriment of the brand. So what are they going to do? Introduce a BMW Lux sub brand, in the same vein as Toyota did with Lexus or simply distance the premium models in styling and price terms from the run of the mill cars? Which is how it sounds from the article. The design concepts shown in the pictures don't fill me with confidence: The Z4 looks interesting and I like the brighter contrast interior in the 8 Series but it looks like they've borrowed the quilted leather from Audi (why not use a kidney grill pattern)? 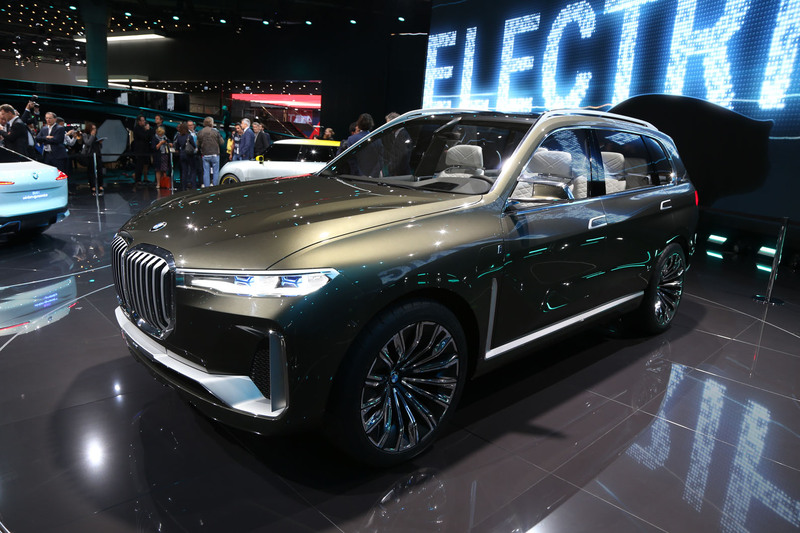 The frontal styling of the X7 however looks horrendous and as for the M760i shown in the pictures - I get the boating theme but wooden floors, in a car, whose bright idea was that? Having said all that, it's a relief they have finally acknowledged the need to demonstrate further differentiation in styling between models - something Mercedes should take note of. I applaud the idea that BMW are going back upmarket - those of us old enough to remember BMW in the 60's and 70's will know they were once a major player in the luxury market but like Mercedes and so many others, they started to chase volume and fleet sales, IMHO to the detriment of the brand..
Mercedes, Audi, Lexus and now JLR for that matter, are also chasing volume. This is not limited to BMW. The 'premium' companies realised, some time ago, that you either become larger and stronger commercially or you get gobbled up or get left behind. For example, when a new and huge market like China open up, you have no choice but to increase voulme. Because if you don't, your competitors will, and you'll be left nowhere. That's the reality of the market place today. In reply: I didn't say it was limited to BMW, I acknowledged that Mercedes and others have also gone down the same route. There are commercial choices to be made about which market or markets to concentrate on but it doesn't necessarily follow that mass market is the only solution and whatever their ownership arrangements other brands have managed to maintain the premium position they worked so hard to obtain. Despite their ownership arrangements, I hope we never see a time when the likes of Aston Martin, Bentley et al are pressured into creating a line of entry level everyday cars simply to drive an increased financial contribution to their parent company - that would be an automotive brand disaster. With regards to China: The driving forces there are different to a lot of markets. Well heeled Chinese buyers (of which there are many) will buy one of the major luxury brand like Rolls, Bentley etc mainly because they're not accessible to the masses, which is why penetration has been so good for those luxury brands in China. Unlike in the UK or Europe however, where people will consider buying an entry level BMW, no aspirational Chinese buyer would consider a basic 1 series or low level 3 series just to get on the ladder, there's just no kudos in that. The pursuit of additional volume doesn't have to necessitate the creation of a vast model range from 1 to 8 series just to plug every conceivable gap because as others have shown there are ways in which they could have increased sales of a more compact range, remained profitable and better retained the brands premium position through additional/conquest sales and those to emerging new markets, such as China. At the end of the day, whatever I say isn't going to change what BMW, Mercedes etc have already done in expanding their model range and going down market to pick up sales but IMHO it's a shame they took that route and for me, that approach and (M models aside) the steady dilution of core attributes like BMWs handling advantages, have tainted what the brand was once all about. "There are commercial choices to be made about which market or markets to concentrate on but it doesn't necessarily follow that mass market is the only solution and whatever their ownership arrangements other brands have managed to maintain the premium position they worked so hard to obtain." Brands like Volvo - JLR - Bentley - R&R are now owned by larger car firms. They effectively chase the volume market in order to be able to afford to develop from their own cash reserves large lines of different models. Both have become very large firms in their own right. The large volume sales also maintain sizable cash hords that keep at a bay anyone dreaming about their takeover. It doesn't follow that for a premium brand to remain independant they have to expand their product range or go down market to increase volume as a means of generating profit. As a premium brand that have resisted the urge to create a vast choice of cars for every man, Porsche is a good example of what I'm talking about because prior to their takeover by Volkswagen (which was brought about by other factors, to complex to get into now) they were one of the most highly profitable car companies in the industry. Few Porschefiles welcomed the introduction of the Cayenne but it had a massive positive impact and did so without necessitating a step down in quality or diluting the attributes which made Porsche famous. As a consequence, Porsche retain their premium brand position because their vehicles remain an aspirational purchase. BMW and Mercedes were once in the same mould, with Mercedes probably viewed as one of the lead player in the Premium sector. Now we have BMW 1 series (Mercedes A series) and so forth and as a consequrnce it's hard to consider either brand a Premium manufacturer any more. So far BMW and Mercedes have. That appears to give strength to the points I did make. So far Mercedes and BMW have avoided that very fate. Which should give strength to my argument. The previous comment came out wrong. "The large volume sales also maintain sizable cash hords that keep at a bay anyone dreaming about their takeover. You mention that cash reserves help prevent a takeover but also cite Volvo (owned by Geely), JLR (Tata), Bentley (VW) and Rolls Royce (BMW), so I'm not sure what point you are making. The key phrase being - avoiding take-over. So it clearly makes sense to mention in same breath in comparison - manufacturers that have been taken over, and manufacturers that are independent -- I thought I had made it clear enough, that mentioning both types was a comparison. Assuming the reader having full knowledge about the difference between those makes - without me needing to be more clear. Technically Porsche were not taken over, they attempted to buy up a significant share of VW which had significant problems and were weak at the time but Porsche were thwarted and the attempt effectively backfired resulting in a merger and appoitnment of VW execs onto the Porsche board. Porsche could have continued quite happily as a highly profitable independent company, trading with a close involvement with a long term partner (VW) and it would have been unlikely VW would have ended up with Porsche becoming part of the group. As I've said politely elsewhere, we clearly differ in our opinion, you are welcome to yours and me to mine but as someone with a 40+ year passion for cars, including direct work in the automotive & motorsport sectors, I don't appreciate the high handed and slightly insulting tone of your comment regarding my knowledge and the assumption that because you fervently believe in the validity of your argument, you know more than I do.